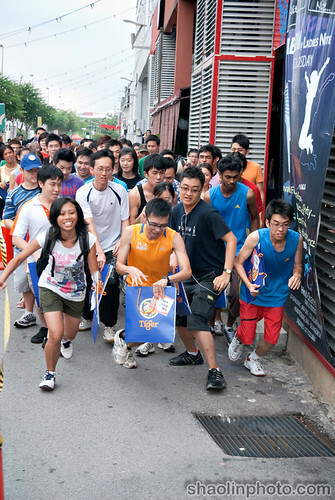 You might remember last week I blogged about My Dream In The Year Of The Tiger and the Nuffnang Tiger Run. 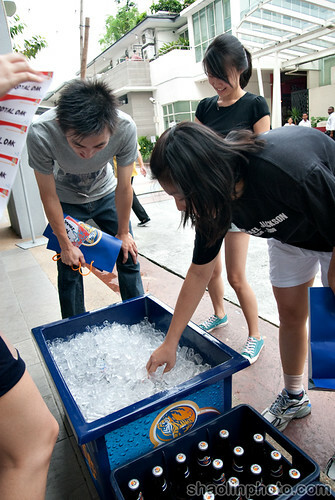 Well the event was held last Saturday (February 6th) at Jaya One and turned out to be very interesting indeed. 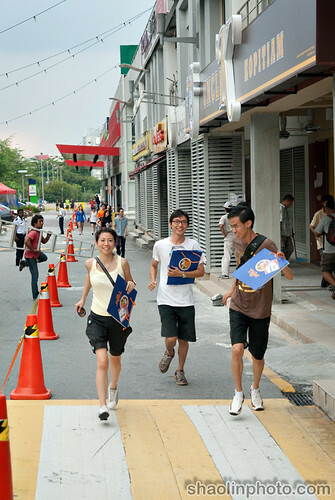 It turned out to be a 3km run around Jaya One including some pit-shop challenges at 4 locations where tasks had to be carried out. Luckily the weather was perfect, it looked like it was going to rain but it held off until after the run was over meaning it was nice and overcast and not too hot. Of course the first thing that had to be taken care of was registration. The Project Alpha crew were there too capturing some of the happenings. After that it was time to move towards the starting point and have a briefing on the direction and path of the run to be followed and the locations in which the tasks were to be carried out. 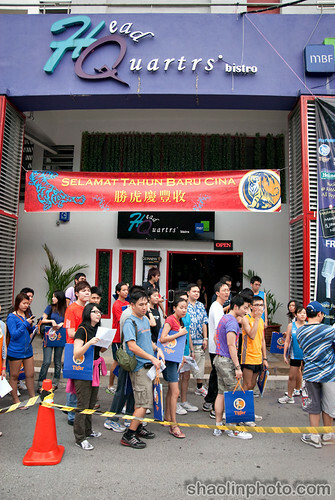 The start of the run was Headquarters Bistro on the ground level of Jaya One. 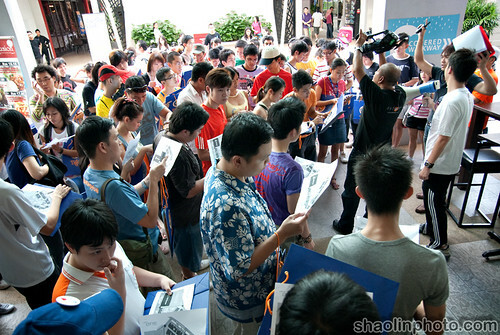 Everyone was listening intently to the final instructions before starting the race. And then it was a go! Of course the femes bloggers were taking place too. 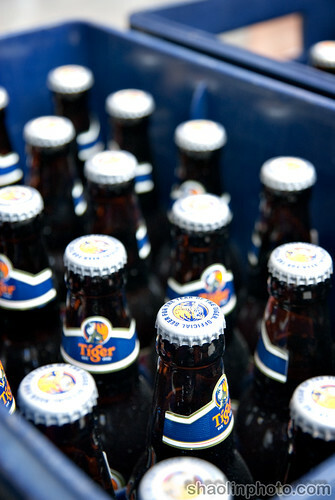 The first task was a pretty easy one, just grab a bottle of Tiger Beer out of an icebox (after running 2 full rounds of Jaya One that is). Personally I was more interested in the beer.. 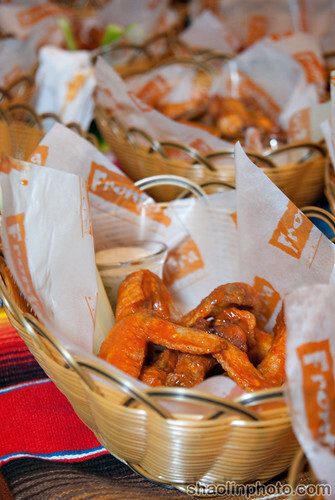 The most fun challenge was that each person had to eat a super spicy habanero chicken wing at Frontera, yes they are spicy! 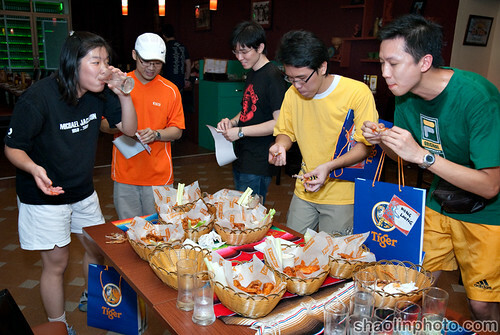 They really are some tasty chicken wings tho, I could do with a basket now…hmm. Upstairs at Chulo participants had to Twitter and Facebook about the run. 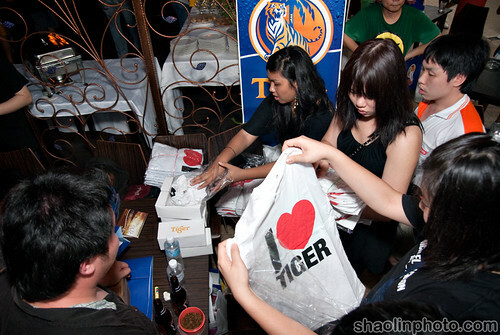 Everyone grabbed an “I Love Tiger” t-shirt. Including me! I just need to mod it slightly so it says “I Love Shaolin Tiger” instead haha. 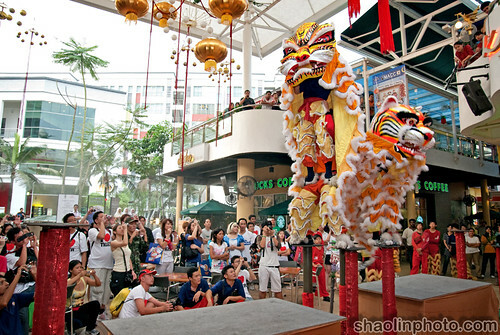 We were then treated to a spectacular lion/tiger dance by the Subang Hong Teck Lion Dance Association. Everyone had some food after that as usual, then it was time for the prize giving…or for the Nuffies to do some crazy tiger pose. And of course all the winners including consolation prize winners. All in all it was a very interesting event, not something I’ve experienced before. 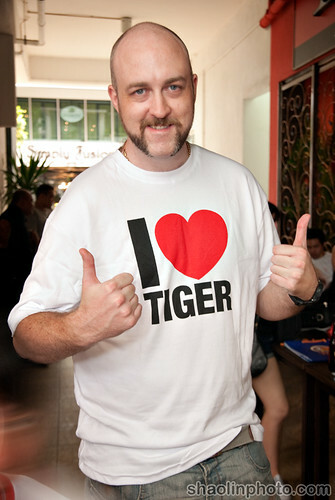 Here’s to the year of the tiger! Cheers. With detail view here and slideshow here. Do you like touchscreen phones? Looking for a smartphone? 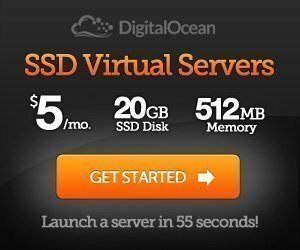 Like to e-mail/tweet/facebook on the go? BlackBerry might the solution you’re looking for. To be specific the BlackBerry Storm 2 9520 smartphone. Did you know Celcom is the 1st Telco in South-East Asia to launch the new BlackBerry Storm 9520? It was launched and made available on the 20th January 2010 and you can get it at any Celcom branch, Blue Cube or dealer to enjoy the promotional package. Nice photos and show us the I love ST shirt soon. Haha. 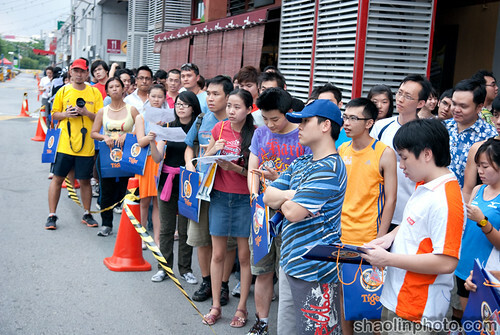 wow, very spiritual event in order to welcome the roaring tiger year..
happy cny and gong hei fat choi!!! haze: Nice knowing you Haze, I think you’ll be dead soon. Cheesie: You’re like half a kg, what do you expect. aud: LOL now that’s scary fast. Thanks for the great pics! I copied some for remembrance. runwitme: Hahah of course, I’m the the one and only me 🙂 Thanks, help yourself!